The ServeMaster Academy Edition contains 3 sizes for player ranging from 10 & under, Juniors and Adult. 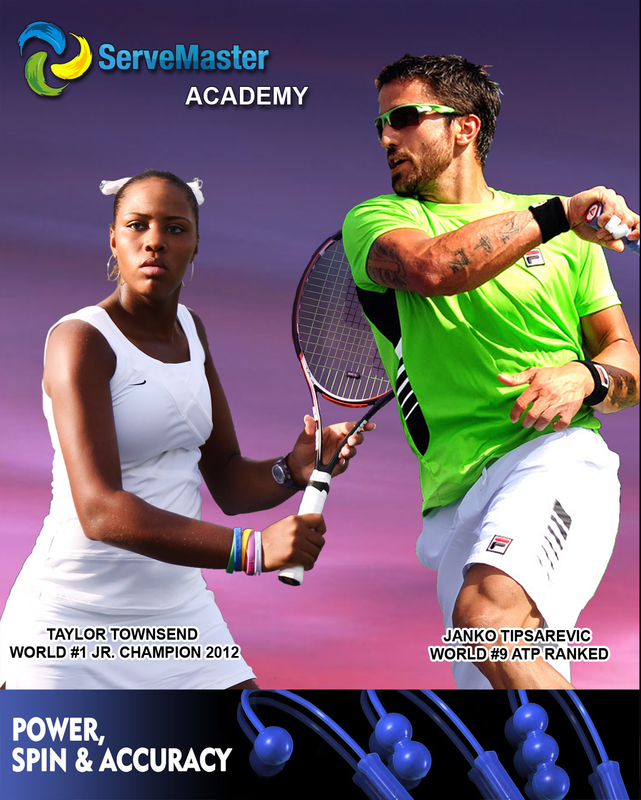 This Edition is a great deal for Coaches, Tennis Academies and Camps. "The ServeMaster is Totally Cool!" "The ServeMaster is Totally Cool! The ServeMaster is one of the best tools I have found for helping students “feel” how to produce a fundamentally sound service motion. It is a great aid for warming-up before matches or before serving in a lesson. The ServeMaster is totally cool!" "It is as if they have unlocked a secret!" "What I love about the ServeMaster is how easy and convenient it is to put in the hand of a student and get them to feel how the racket is supposed to travel during the service motion. Once a player gets the hand of it and can move it correctly I have them switch back to their racket and try to replicate the same motion. Then I have them go for it! This is usually followed by a big smile on their face as they start to understand how much easier it can be if they allow the racket to move through the motion. It is as if they have unlocked a secret!" "For every child who would like to have the proper fundamentals from the beginning." "Our kids use the ServeMaster daily at Top Ten Academy in Berkeley, CA. In all the years I've been teaching I've never come across something that has made the rhythm and timing of the serve so easy. All of my students, no matter how young, can get the swing of the serve down after just a few minutes with the ServeMaster! Wayne Ferreira and I are always having our players utilize the ServeMaster to keep developing the proper swing shape and follow thru. The ServeMaster also teaches the proper shifting of weight from the front to back and front again and dramatically improves tossing skills. This teaching aid is also a must for every adult who needs help with every aspect of their serve as well as for every child who would like to have the proper fundamentals from the beginning. Also the way the handle is designed allows the grip to easily stay in the difficult continental grip and the different weights in the head end teach relaxation, hitting up and pronation." My daughter was straggling with her serve. After 30 min practice with Serve Master I saw immediate improvement. After two day the power and precision dramatically improve. If you are serious about your game this is a must have tool.